This hand-colored fashion print from the late 19th century has been digitally enhanced to print and frame. 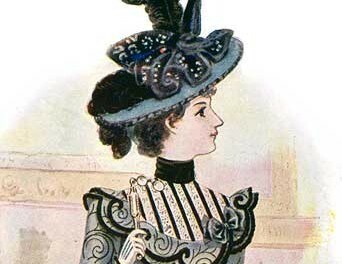 This fashion plate is from an 1899 issue of the Delineator magazine and would make a lovely gift for a fan of Victorian novels and movies. This antique fashion print is free to download, print and frame.